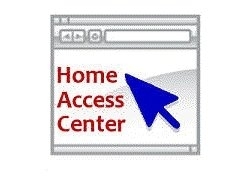 Home Access Center will allow you to view your child's schedule, attendance, and grades. You will be able to register for Home Access Center the second week of school. In order to register, you must have a valid email address on file. To make sure you have an email on file, click on the HAC link on the left side of the homepage and fill out the google form. You have until Friday, August 23 to complete this form.